An apartment management firm in Milwaukee and its lawyer have launched a counteroffensive against HUD for what they say is a frivolous complaint of discrimination, going public in an attempt to restore a reputation already damaged by public allegations before the case was proven to be true. HUD issued a press release this week announcing the charges pending against the firm, using the company’s name, and making allegations that the firm discriminated against an African American when they told the applicant there were no available units. The statement outlines specific details, including an allegation that the couple called to inquire about renting a two-bedroom apartment after a white friend, who once lived at the apartment building, recommended it to them. The couple allege that the husband spoke to a leasing agent who told him that there was no apartment available at the time. The couple claims they made several more inquiries over the next few months after noticing newspaper advertisements for apartments at the property and seeing a Now Renting sign outside the property. With each inquiry, they claim they were told that there were no vacancies. The couple claim that later a white friend called to inquire about apartments and was told a unit was available and offered to show it to her just fifteen minutes after he told the wife that there was no unit available. 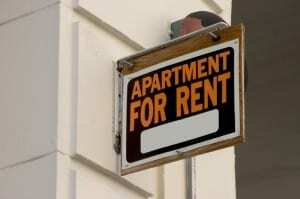 The Metropolitan Milwaukee Fair Housing Council then initiated telephone and in-person testing to make inquiries about the availability of two-bedroom apartments at the complex. The Council claimed the leasing agent repeatedly told the black testers that there were no vacancies, while inviting white testers to view the apartments. The landlord maintains that at the time of the inquires, there were, in fact, no available units, and that they often rent to minorities. According to Mr. Stadler, the alleged victims have a history of being sued by creditors and were evicted by a previous landlord for failing to pay rent. Once the couple raised the discrimination claims, they also demanded $125,000 from the landlord to settle their alleged claims, according to Mr. Stadler. After the landlord refused to pay, the couple and HUD moved forward. They filed complaints with the State of Wisconsin Equal Rights Division and HUD. The State administrative proceeding was dismissed after the landlord demanded a jury trial in La Crosse County Circuit Court. The victims have taken no further action on that matter. According to Mr. Stadler, HUD’s charge merely indicates that the Agency suspects that discrimination occurred, but this is all based upon “the complainants’ self-serving allegations.” No testimony has been taken and no documentary evidence has been admitted. Mr. Stadler pointed out that because the landlord immediately demanded a jury trial in federal court, HUD now actually has to decide whether it will file a civil complaint and then attempt to prove that discrimination actually occurred, not just that complainants suspect that it occurred. He also noted that the landlord has long been a valuable, trusted part of the La Crosse community, with an A+ rating from the Better Business Bureau and a history of renting to all qualified applicants regardless of race. “It intends to use the judicial process to demonstrate that it does not engage in discrimination,” Mr. Stadler says.